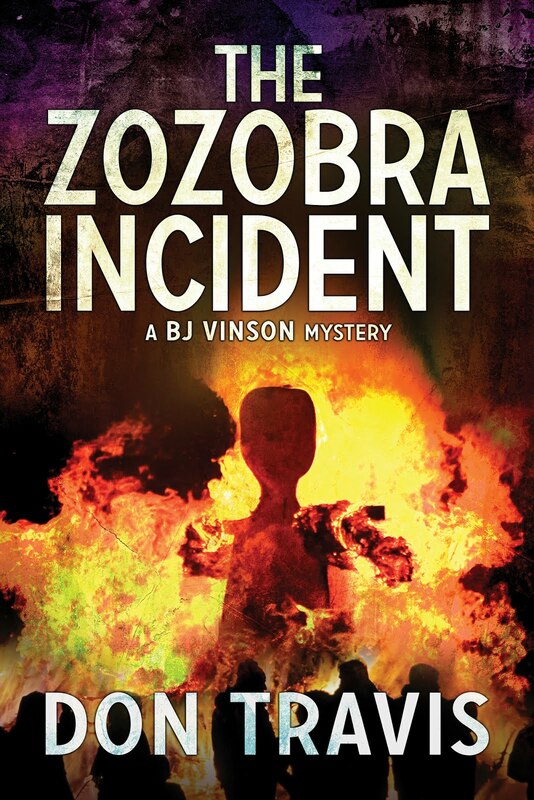 After wandering around lost the last few weeks (including posting a poem, for crying out loud), I thought we’d return to one of the BJ Vinson books today. 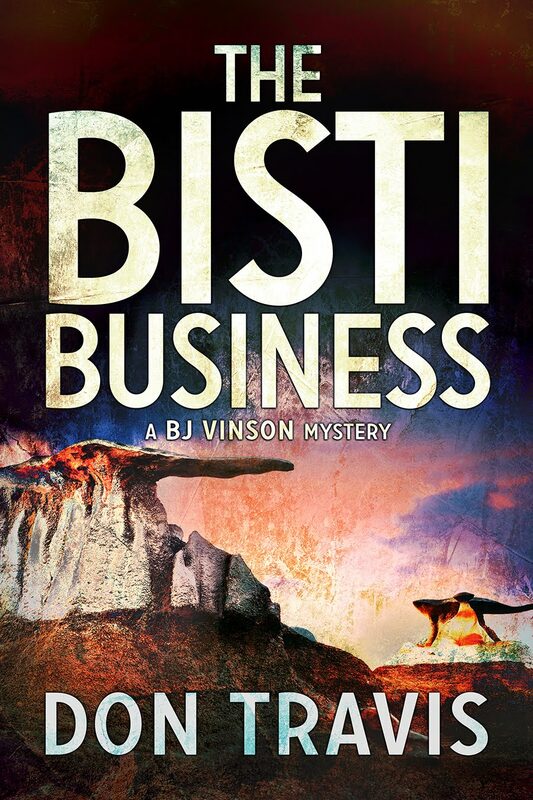 What follows is the closing scene in Chapter 12 of THE BISTI BUSINESS. 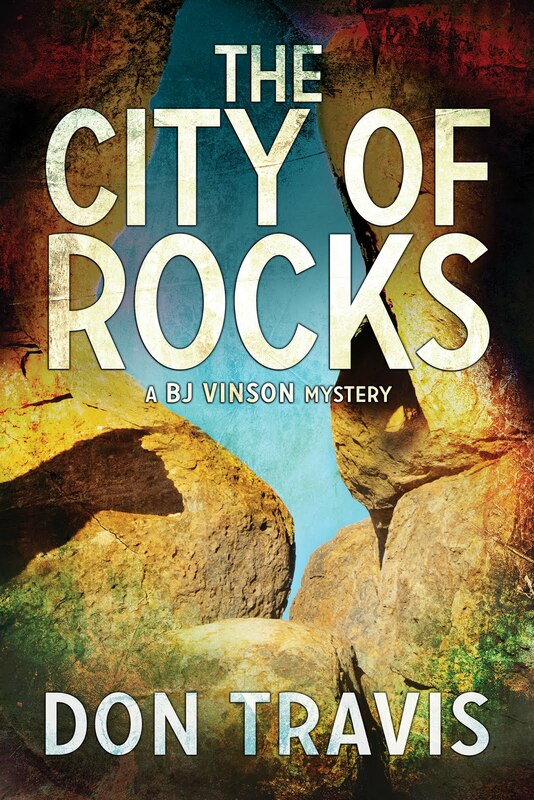 BJ and Aggie Alfano (one of the missing men’s older brother) have been drawn to the remote, usually deserted Bisti-De-Na-Zin Wilderness when they learn a Navajo teenager has found a cell phone owned by one of the missing duo. They have just ransomed the telephone when they are joined by Sgt. Dix Lee of the Farmington Police Department and Special Agent Larry Plainer of the Bureau of Land Management, the agency that is responsible for administration of the wilderness area. “And that’s why they stumbled on Dana’s phone?” I took another slug of water as she spoke and offered her some. She declined with a shake of her head. I wiped a sheen of sweat from my face with a sodden handkerchief. “Nice to meet you,” I said and introduced him to Aggie. I knew t the BLM had its own law enforcement arm, but didn’t know exactly how they worked. Some rangers regularly carried firearms and handled criminal cases such as vandalism, theft, and the like. A special agent was new to me. Perhaps they handled the “heavier” crimes. Gainer’s fair features labeled him an inside man, not a working ranger. Despite the heat, he wore navy dress pants and a pale blue, long-sleeved shirt, although he had foregone a coat and tie. A black baseball cap with BLM stenciled on it was all that protected him from the sun. It made me wonder how he’d walked the same route I had without staining his clothing with sweat. I brought Dix and Plainer up to date on the situation while Aggie wandered off somewhere on his own. A few minutes later, a shout attracted my attention. “BJ, over here!” Aggie yelled. I hurried over to a hoodoo, one of those sculpted toadstool formations that threatened to collapse momentarily. Aggie slowly walked the rocky ground around the base, as if searching for something. “You smell anything?” he asked. And then I caught a whiff of it—the faint, cloying, unmistakable stink of death. It feels good to be back on safe, familiar ground. I hope this and other posts featuring the wilderness area will prompt you to visit the Bisti Badlands country. If you’re into eerie, otherworldly landscapes, this is the place for it. By the way, the spectacular image is a Creative Common photo taken by John Fowler of Placitas, a village north of Albuquerque -- a very interesting place on its own.